Preparing mess in a portable kitchen. To escape the wind the "kitchen" has been taken into this old stone barn in a French village. 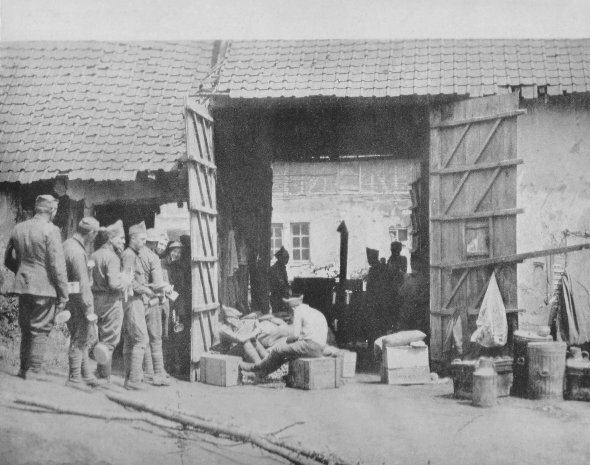 The men waiting in line for "chow," are members of an American machine gun battalion. Silence prevailsthey have just returned from the front.